Today's delivery is brought to you by Katchafire. If you've been following Daily 2% for more than a year; you might of seen this group pop up from time to time. They are definitely one of my favorite reggae acts and it's almost impossible for them to make a bad track. They hail from New Zealand and have been spreading their island fever for over a decade. They are set to release their album(in the US), On The Road Again, which features their signature island reggae sound. We've been blowing you away with the dance tracks and rap tracks recently so its time to slow it down a little bit with some natural vibes. The track I'm bringing to you today is called "Irie" which is a great track to get you chilled out and/or ready for some bedroom action. Check out the track and chill…. 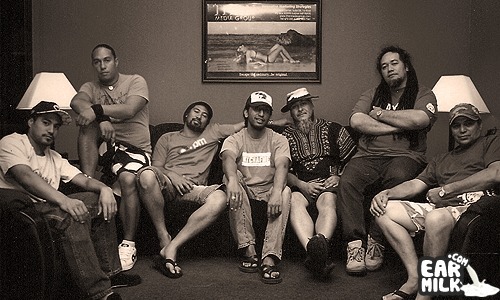 love katchafire! they are as great live as they are on cd.